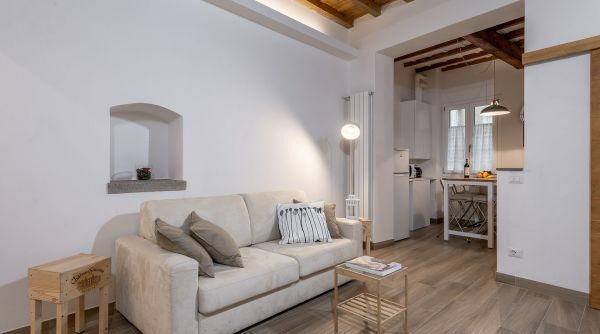 Santa Croce Place is an apartment to rent in via dei Macci nust steps to the square and the marvelous cathedral of Santa Croce in Florence. 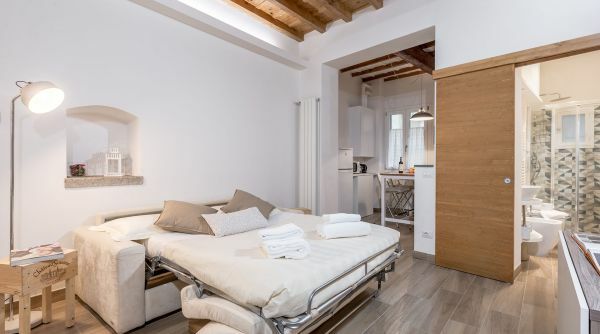 A home ideal for short term rentals capable to accommodate up to 5 people thanks to a double bed, a single sofa bed anda double sofa bed. 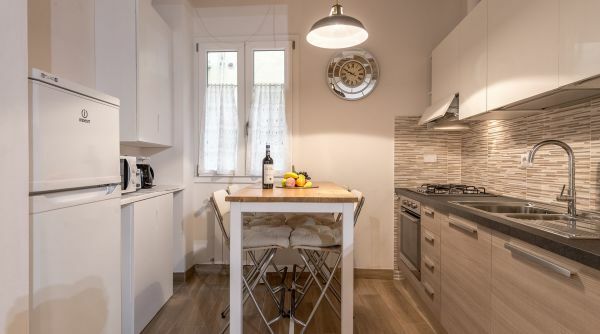 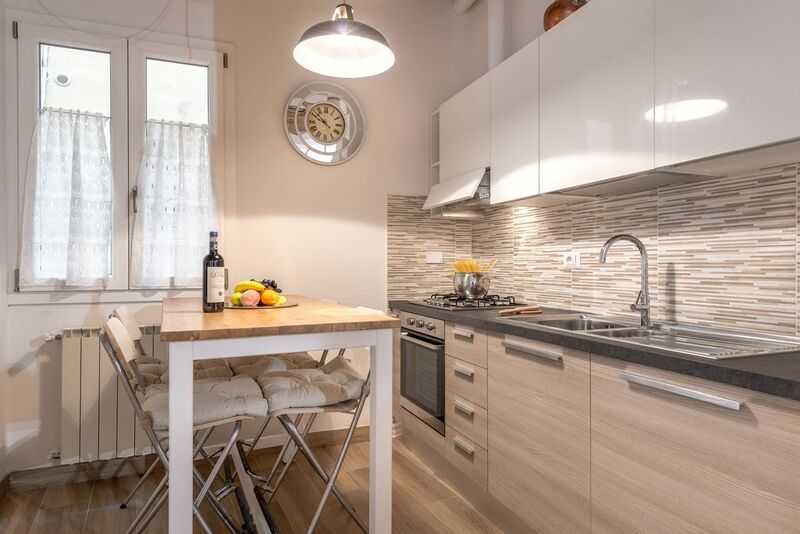 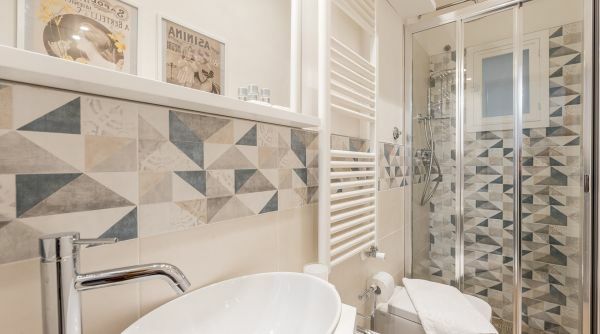 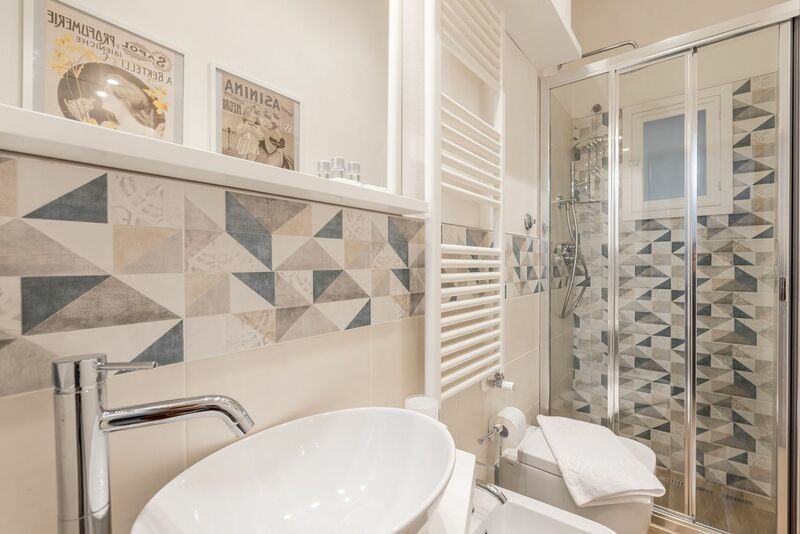 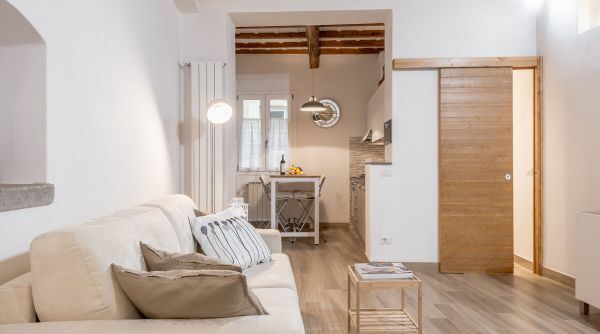 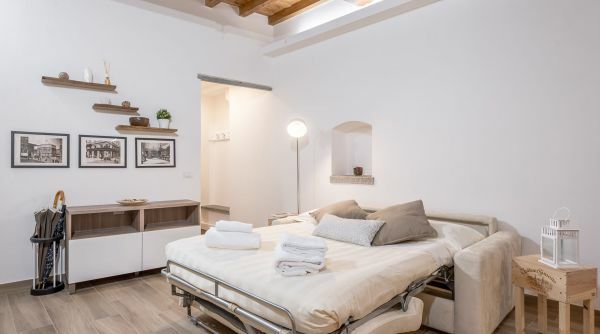 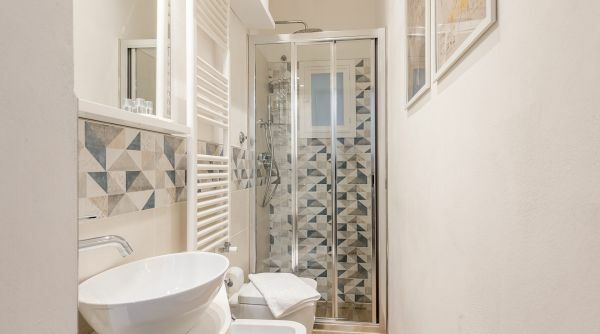 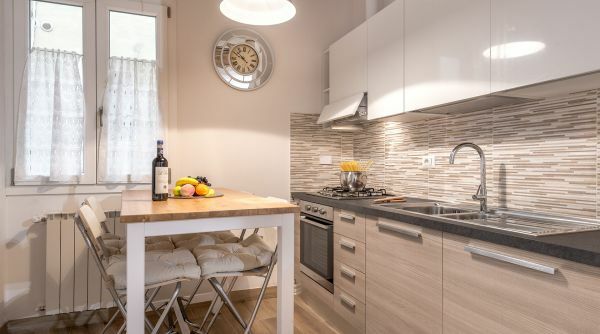 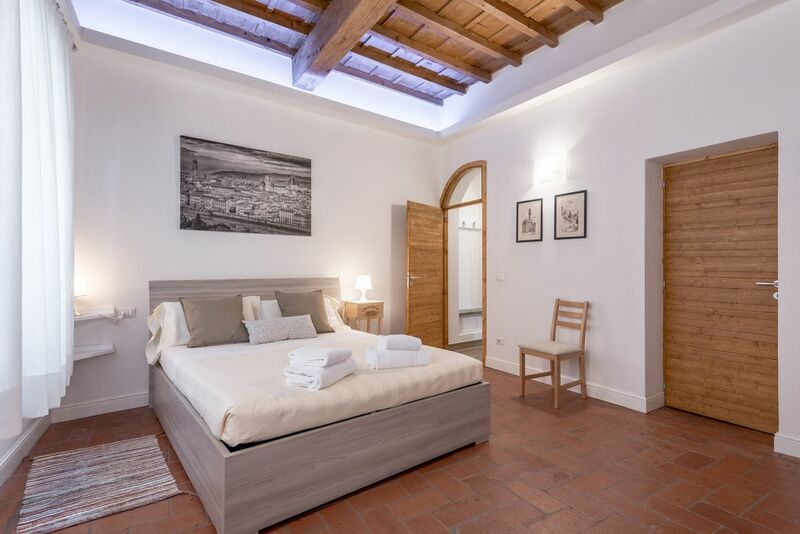 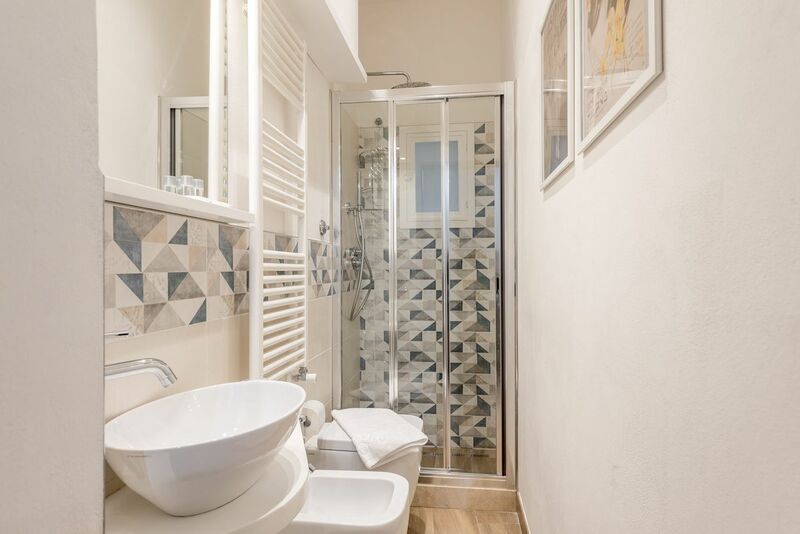 This house has a modern full bathroom with shower and a very well equipped kitchen; not far from the apartment you will find the market of Sant'Ambrogio where you can buy many local products. 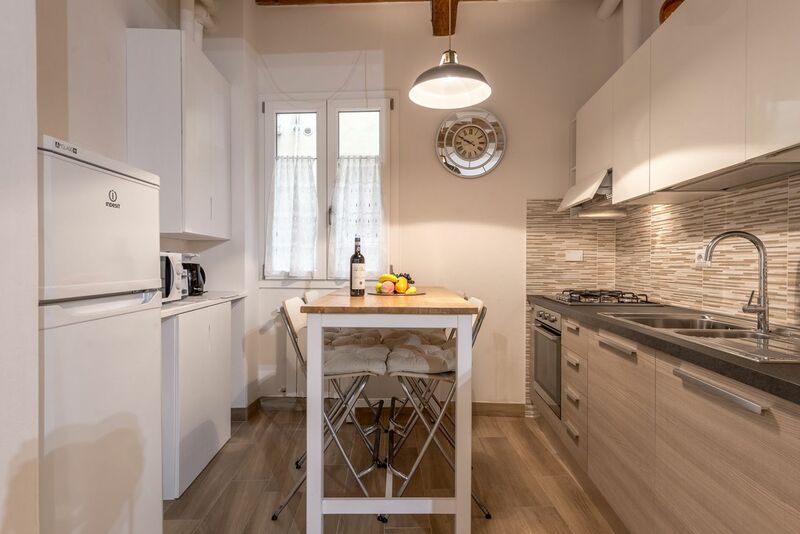 The house was recently renovated and is equipped with internet Wi-Fi, many domestic appliances (TV, oven etc.) 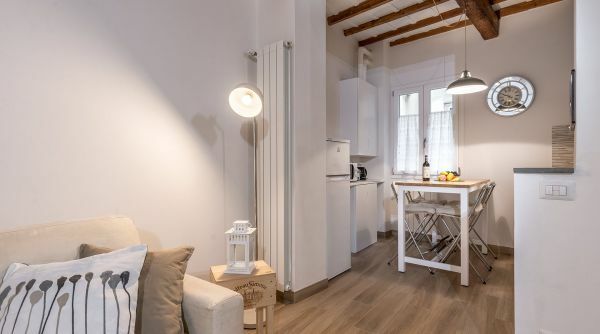 and independent heating. 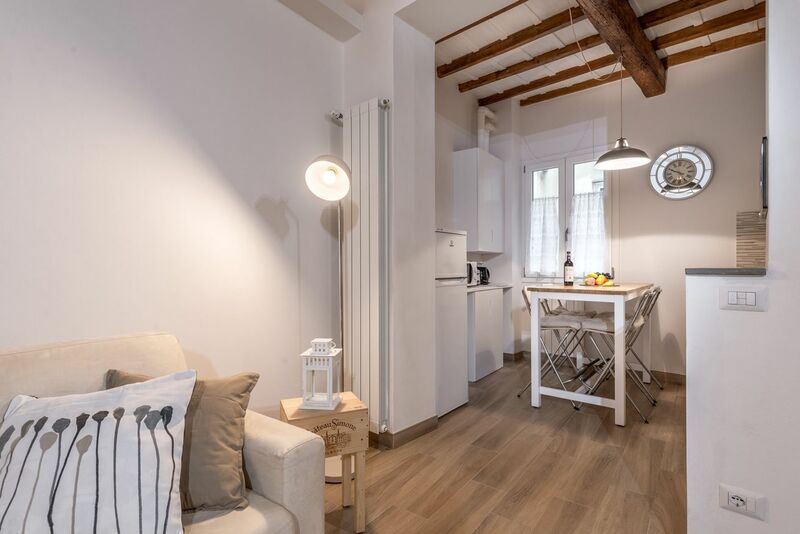 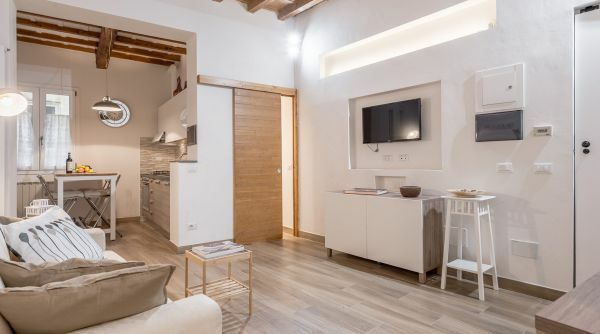 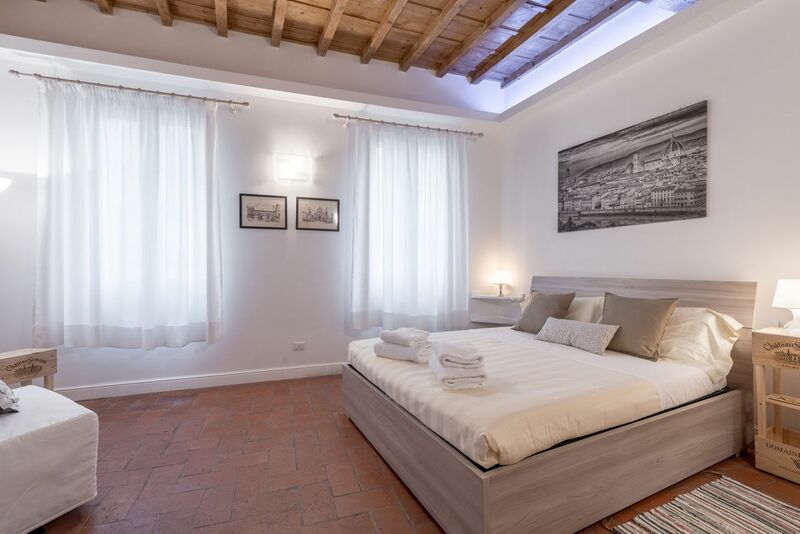 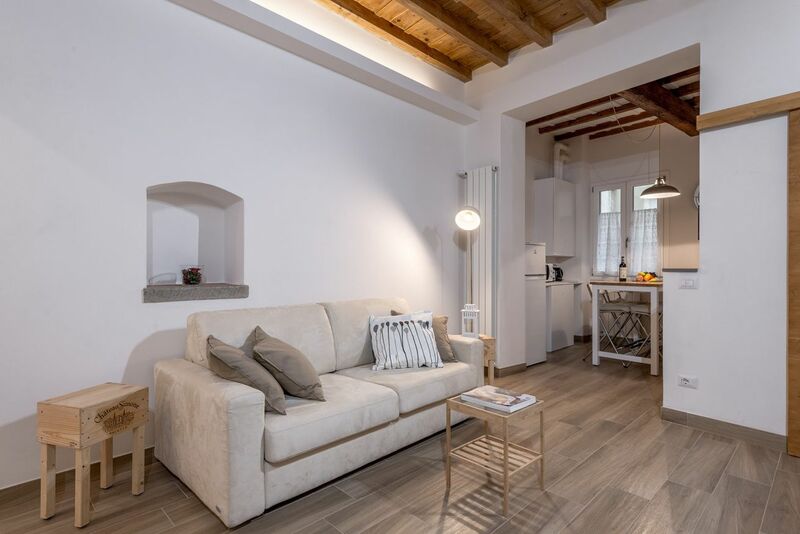 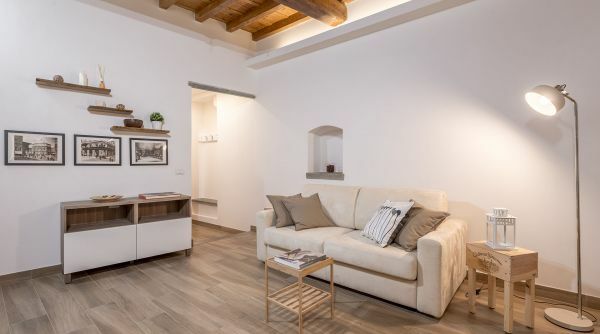 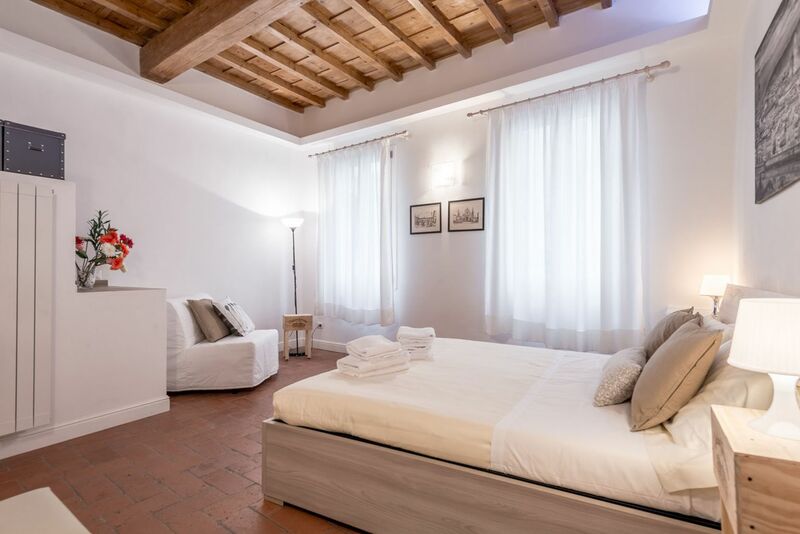 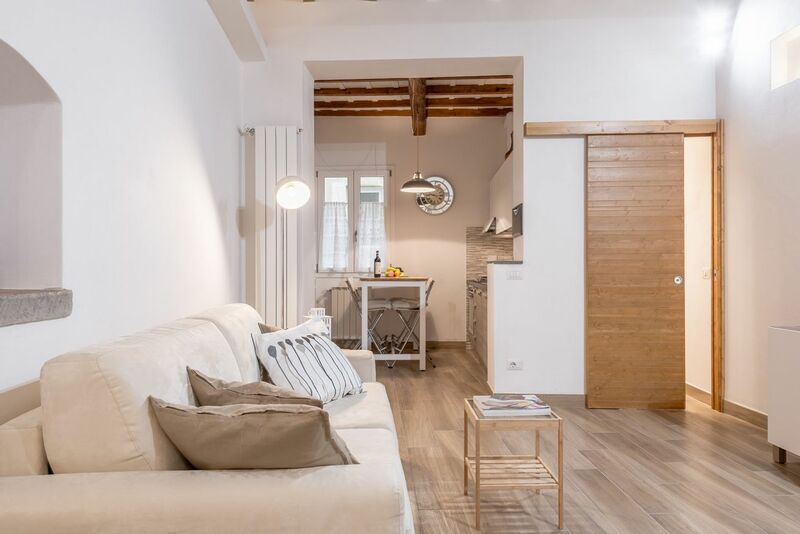 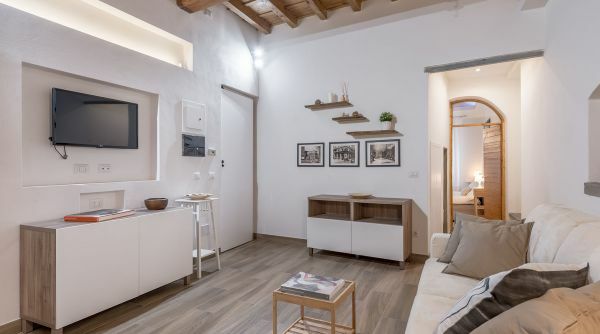 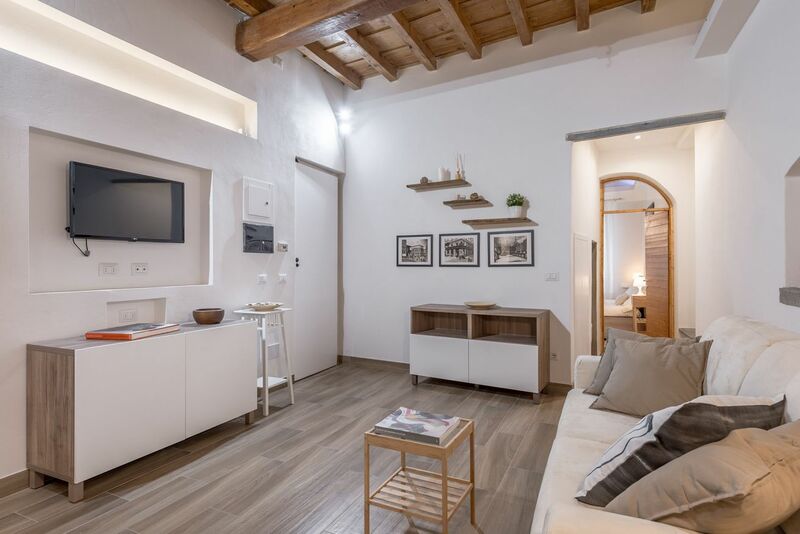 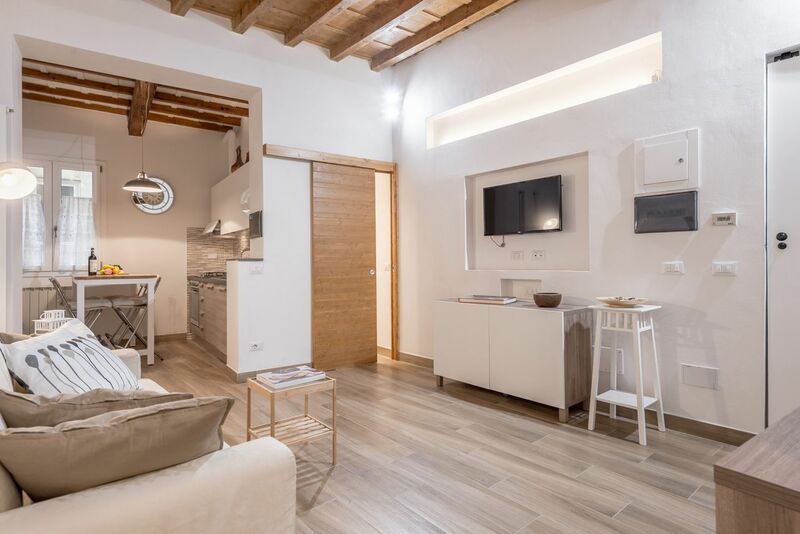 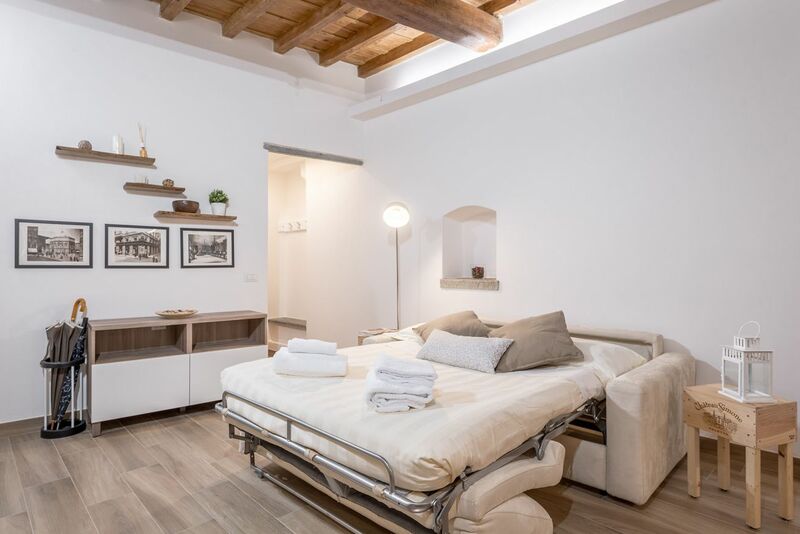 This gracful apartment is in the neighborhood of Santa Croce in the heart of the historical cityh center. 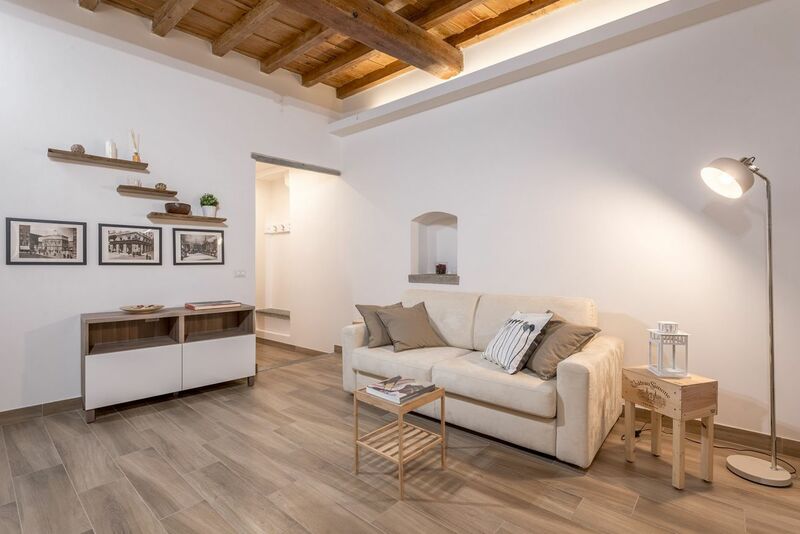 If you want to explore Florence by foot, this house is for sure an excellent starting point: it takes only 5 or 10 minutes to get to the most famous monuments and the most important museums of the city.